Fifteen scientists and entrepreneurs have been nominated for the European Inventor Award (EIA), which is granted annually by the European Patent Office (EPO) to outstanding inventors for their contribution to technological, social and economic progress. The winners of the 2012 EIA will be announced during an award ceremony in Copenhagen on 14th June. The fifteen finalists cover the fields of medical technology and medicine, telecommunications, wastewater treatment, battery recycling, energy storage and environment, clothing, laser technology, railway manufacturing and construction. They originate from seven European and two non-European countries. The EIA is presented in five categories: "Industry", "Research", "Small and Medium-sized Enterprises (SMEs)", "Non-European countries", and "Lifetime achievement". From almost two hundred inventors and teams who were originally nominated, fifteen finalists have been selected by an international jury comprising leading personalities from industry, science, politics and media. EPO President Benoît Battistelli said: "Patents play a key role in stimulating innovation, in securing jobs and advancing society. 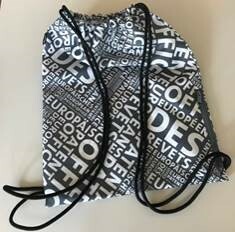 Behind every invention, there are men and women, driven by the passion of discovery, to whom the European Patent Office would like to pay tribute. They are the true heroes of the 21st century economy." The three finalists in the "Lifetime achievement" category come from Austria, Germany and Italy. 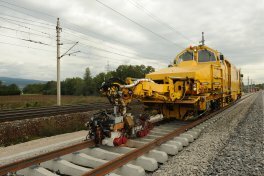 The Austrian engineer and entrepreneur, Dr. Josef Theurer, has filed for some 1,050 patent families throughout his life, while establishing one of the most successful international companies in Austria, Plasser & Theurer - the world market leader for railway track-maintenance machines. Prof. Josef Bille from the University Heidelberg in Germany has filed almost 100 patents in the field of ophthalmology and is considered a pioneer in the area of laser eye corrections. Prof. Bille’s ground-breaking invention of the wavefront technology for laser eye surgery (LASIK) has corrected near-sightedness, farsightedness, and astigmatism for millions of patients worldwide. The third nominee is Italian entrepreneur Mario Moretti Polegato, founder of the company GEOX. 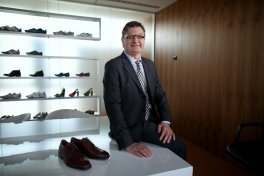 Polegato's determination to find a better solution to smelling feet has led to an improved vapour-permeable shoe that turned the footwear industry on its head. Finalists in the "Industry" category come from Germany, the Netherlands and Denmark. Together with Dr. Klaus Hallermayer at Roche Diagnostics, the German cardiologist Prof. Hugo Katus has developed a new blood test which revolutionised the diagnosis of heart attacks - currently the leading cause of death worldwide. The so-called Troponin T antibody test brought a new level of accuracy to the detection of heart diseases and has become the "gold standard" for cardiologists worldwide. Dr. Jaap Haartsen from the Netherlands invented Bluetooth while at LM Ericsson Telephone. Used in more than two billion devices worldwide, Bluetooth has changed not only the way electronic devices communicate with each other, but also how people connect and communicate. 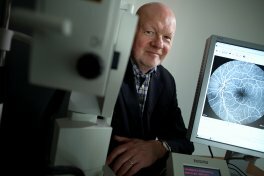 The Danish team of Jan Tøpholm, Søren Westermann and Svend Vitting Andersen has developed a computer-aided method to manufacture individually-fitted, comfortable hearing-aid devices. The unique stereo-lithographic manufacturing method is known as CAMISHA (Computer-Aided Manufacturing of Individual Shells for Hearing Aids), and it revolutionised the hearing aid world immediately. The three teams in the "Research" category come from the UK and Australia, France, and the Netherlands. Prof. Jason Chin (UK) and Prof. Oliver Rackham (Australia) created a way to incorporate unnatural amino acids into proteins, enabling molecular biologists to control and elucidate the functions of proteins in cells with unprecedented precision. Their ground-breaking invention has the potential to revolutionise the way patients are treated in protein-like therapeutics, such as insulin treatment, as well as to detect prostate, ovarian, and colon cancer. One hundred times more infectious than HIV, hepatitis B is a particularly recalcitrant disease that each year affects 350 million people chronically worldwide, and has proven resistant to most treatments – until Dr. Gilles Gosselin, Prof. Jean-Louis Imbach and Dr. Martin L. Bryant (France) developed an effective drug, which has been successfully commercialised. Prof. Mark van Loosdrecht, Dr. Merle Krista de Kreuk and Dr. Joseph Heijnen (The Netherlands) invented an advanced wastewater treatment technology which uses aerobic granular biomass and is already in commercial application. The so-called NEREDA process reduces nitrogen and phosphate levels by 95% without relying on extra chemicals. The three entrepreneurs and teams in the "SMEs" category come from Germany and France. Dr. Manfred Stefener (Germany), founder of Smart Fuel Cell AG (SFC), Oliver Freitag and Dr. Jens Müller created the first fuel cell for portable use, the so-called direct methanol fuel cell or DMFC. Today SFC's fuel cells are used in a vast array of applications including traffic management, security and surveillance systems, as well as powering isolated environmental data stations. SFC has sold more than 24,000 fuel cells since it was founded in 2000. A passionate yachtsman and former three-time winner of the Admirals Cup, Dr. Stefan Lehnert (Germany), aimed at improving his sails, which resulted in the development of ETFE- (Ethylene-Tetrafluoroethylene) based roof and cladding solutions. These cladding systems, based on plastic cushions filled with air, have since pushed the boundaries of architecture and allowed the creation of highly innovative structures such as the Eden Project in England or the Beijing National Aquatics Centre in China. The French scientists Dr. Farouk Tedjar and Jean-Claude Foudraz have developed a novel solution to recycle lithium-ion batteries and recover 98% of the valuable metals they contain. Discarding these rechargeable batteries creates a huge amount of waste: about 180,000 to 200,000 tonnes per year in Europe alone. In the "Non-European countries" category the three finalists come from the USA and Australia. Self-taught American scientist and social entrepreneur Dr. Stanford Ovshinsky developed NiMH batteries, which offer a clean-energy storage solution with record durability and double to triple the capacity of nickel-cadmium batteries of the same size. They have proven to be the battery of choice when it comes to the portable electronic device market. What is more, they enabled the hybrid and electric vehicle industry: More than 4.5 million hybrid electric vehicles with NiMH batteries have been sold worldwide with many more being built. Stanford Ovshinsky dedicated his life to research and innovation and holds more than 400 patents to his name. Prof. Federico Capasso (USA), Prof. Jérôme Faist (Switzerland) and team invented the so-called Quantum Cascade Lasers (QCLs), which are able to reach areas of the electromagnetic spectrum previously untouched by laser light. Today, the ability of QCLs to produce wide bandwidths, high brightness, and high power very efficiently from a compact source has resulted in an array of unique products, from hand-held sensors for explosives detection and other toxic chemicals, to more powerful radar systems. Dr. John O' Sullivan, Graham Daniels, Dr. Terence Percival, Diethelm Ostry and John Deane (Australia) created a technology that made the wireless LAN fast and robust so it could be as powerful as the cabled solutions of the time, which led to today's wireless networking technology (Wi-Fi).